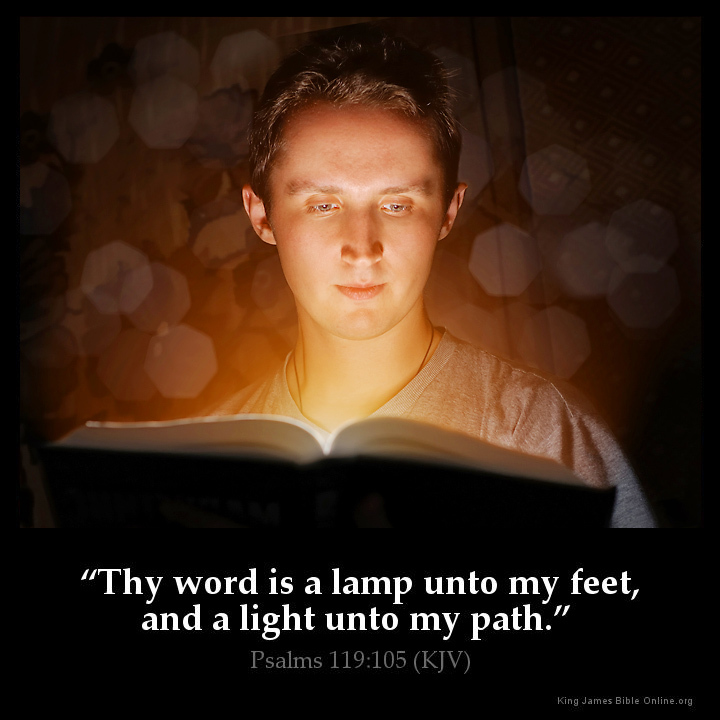 Thy Word is a Lamp unto my feet . . .
"Are You Allowing the Holy Spirit to Make You Uncomfortable?" As we've now entered 2019, everyone is looking toward prophetic words of increase, blessing and success. But there is something we must understand to accelerate in the Kingdom of God: it is allowing the Holy Spirit to make you feel uncomfortable. Everyone loves the feeling of being blessed, content and secure, but feeling pressure is not something any of us look forward to. Feelings of being uncomfortable usually happen as soon as we step out into the deep and begin doing exactly what God has said. This year, God will prompt you to obey Him and to do things that require huge risks. You will have ideas and God will speak in big ways. But for those colossal things to happen, in order to come up to the next level or for big doors to open, there will always be humongous risks of faith and you will feel very uncomfortable. Allowing the Holy Spirit to make you uncomfortable is not fun by any means, but it must happen. God says obedience is better than sacrifice and if you are willing and obedient you will eat the good of the land. You must be willing to obey God and not be afraid of being embarrassed. Be willing to try anything He says. Lay down your own agenda, step out just on His words alone, and do what He says with no money or influence, and go for it even if nothing happens. Several years ago, my husband Ray and I were in a transition from pastoring a church to helping birth a house of prayer. With little money coming in, a door opened for Ray to supplement our income. Ray worked at what we call the best part-time job ever in the accounting department of the Anglican Diocese of Pittsburgh. I told him never quit that job since the pay and benefits were so great, plus he could make his own schedule. We were not Anglican, but he had the privilege of working for the Anglican Archbishop of North America. While working at the diocese, Ray brought home a book called "Who Moved My Cheese?" It was a New York Times business bestseller for five years. The book looked interesting and since it was small, I read it before going to bed. "Who Moved My Cheese?" is a simple parable that reveals profound truths. It is an amusing and enlightening story of four characters, two mice and two little people who live in a "Maze" and look for "Cheese" to nourish them and make them happy. "Cheese" is a metaphor for what you want to have in life—whether it is a good job, a loving relationship, money, a possession, health, or spiritual peace of mind. And the "Maze" is where you look for what you want—the organization you work in, or the family or community you live in. In the story, the characters are faced with unexpected change, in other words, someone moves the cheese. The story talks about how each character deals with change. Ironically, the day after reading the book when Ray came home, he said he had been laid off from the perfect part-time job he promised to never quit. As soon as he told me I said, "The cheese moved." The reason he was laid off was not his fault, but the diocese lost a court case and no longer owned the properties he managed on paper. We were scheduled to leave the next day for Kansas City to visit the 24-hour International House of Prayer (IHOP) in Kansas City and our friends Walt and Julie Meyer. There was revival going on and they invited us to come and be a part of it. We used frequent flier miles for tickets, but it was difficult leaving with the situation we were in since we knew a house of prayer was what God called us to, but had no idea how to accomplish this with little income or support. When we returned, we fasted and prayed but didn't really hear anything until one day randomly, while getting dressed, I heard this one sentence from God, "You will see an influx of finances like you've never seen before." Well, when I told Ray he just looked at me, not really believing me. In the meantime, I was not buying any food, just using what little food was in my pantry. The bills were going up and the money was nonexistent. Also, things started breaking and needing repair in the house. The pressure, the concern, and that uncomfortable feeling was at its highest. I knew what God said and told Ray, "I don't use the word 'influx' in my vocabulary. It was God who spoke it to me." Ray's response: "I hope you heard God." I kept repeating that each time another bill came in or when something broke in the house, "...but God said an 'influx of finances.'" I didn't even know what God meant by what He said because nothing was coming in. Every situation around us was squeezing us in with pressure, and we didn't know what to do. I could only hold on to what I clearly heard God speak. Ray told me the Lord told him that He had given me that prayer, and now we could come into agreement. We were also a few weeks away from a mission trip to Israel. We thought we were at the end with ministry and would have to get jobs when we returned. Then suddenly, we received an email (and later an official letter) stating we would be receiving a grant from a foundation. It was the influx of finances God said would happen. But what I want you to know is we had to allow the Holy Spirit to make us uncomfortable. The word God spoke to us and tested us till it came to pass (Psalm 105:19). We had to keep going even though it looked like everything was going down. We had to believe in the word the Lord spoke above all the pressure around us. But in the set time, the fulfillment of an absolute miracle from a totally unexpected source came through the very hand of our Almighty God. We never forget that time when we allowed the Holy Spirit to make us uncomfortable. Each time God speaks, we must believe the impossible to see the incredible and be willing to allow God to make us feel uncomfortable. This is a key pattern to the miraculous of God.